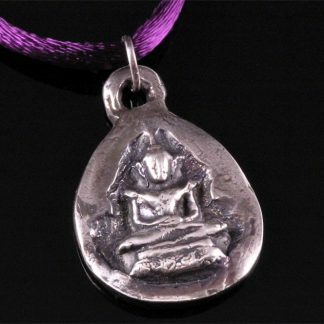 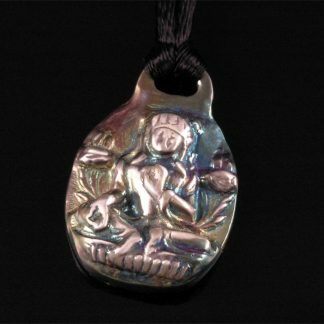 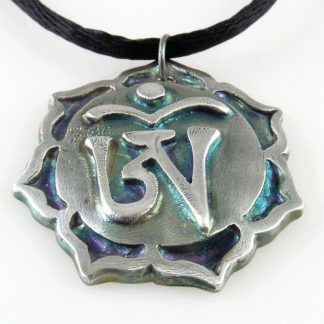 This Ancient Buddha Fine Silver Pendant was inspired by the antique Buddhist amulets found in Thailand and India, and created with Pure Silver Precious Metal Clay (PMC), then fired and polished to perfection. 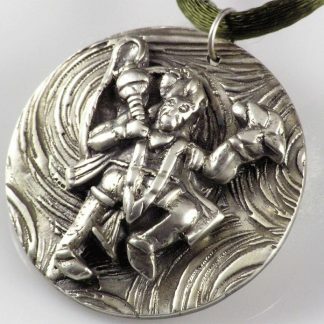 A dark patina was added to the background to add contrast. 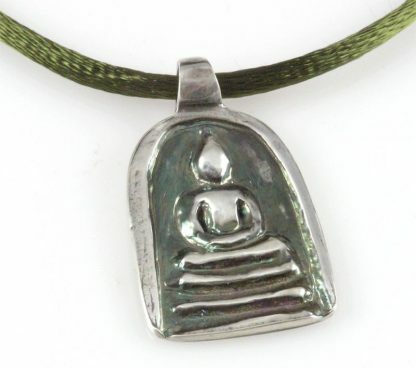 Comes with a free 16-inch Sterling Silver overlay 1mm snake chain (not shown on the picture), ready for you to wear! 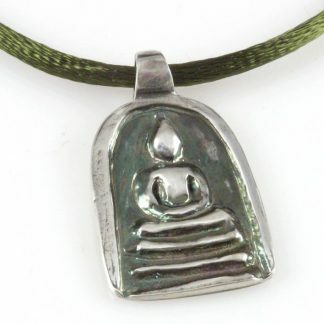 Pendant measures 19mm by 31mm and weighs 7 gm of pure (.999) silver.